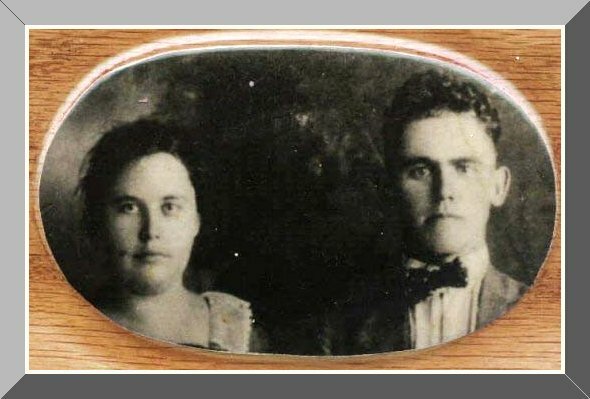 This is a photo of Agnes Allen Conley and her husband Oscar Conley that was taken about the time they got married, which was on July 17th, 1917. I don't know the exact date of the photo or even who has the original. I found it on a cribbage board that had been made for a raffle at one of the Conley Family reunions. This is one of my favorite photos of them.